Sony a7 III Now Finally In Stock at B&H Photo/Adorama ! After about 4 months waiting, the Sony a7 III full frame mirrorless camera now finally in stock at B&H Photo Video and Adorama. a7 III is currently the best selling full frame mirrorless camera in the world. 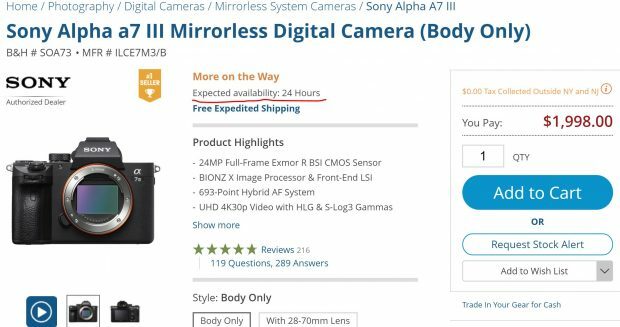 Sony a7 III Body now Back In Stock at B&H Photo Video ! Sony a7 III Body now Back In Stock at Adorama ! Next Next post: Sony RX100 VA now In Stock & Shipping !